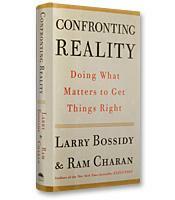 Larry Bossidy, the legendary CEO of Honeywell International, Inc., joins forces with consultant and prolific author Ram Charan to explain how getting things done — not strategy, innovation or anything else — is the most important function of a business leader. 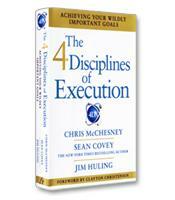 In this executive book summary, the authors examine in detail the three key processes of execution — people, strategy and operations — and show how all three are linked. 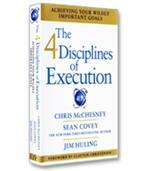 Why Execution Is Necessary - leaders simply are not taught the discipline of execution; more time and scholarship are given to strategic thinking and management techniques. Neither mean much to a company, however, if its leader cannot take an idea and make it reality. Seven Essential Behaviors - from following through on commitments to rewarding those employees who produce results, if you are serious about execution and leadership, you must exhibit these key behaviors. Creating the Framework for Cultural Change - the culture of an organization is the sum of its shared values, beliefs and norms of behavior. Leaders who want to foster an execution-supporting culture must focus on changing the beliefs within their company that influence specific behaviors, since behaviors are what ultimately deliver results. The Three Core Processes of Execution - many organizations treat their people, strategy and operations processes as separate, independent entities, when in fact they are interrelated ? and must be treated as such in order to ingrain the discipline of execution into the corporation.